Although we’ve seen plenty of cool art cars and vehicle conversions here, this converted 1969 Dodge Chinook might just be at the top of the heap. 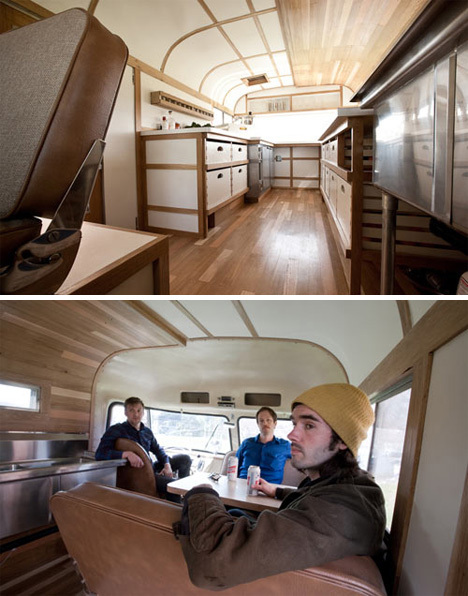 It started life as a cute but ultimately boring motor home. 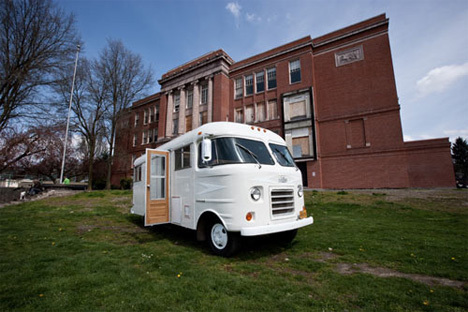 When Portland, Oregon design firm Von Tundra got their hands on it, they turned it into what is probably the most stylish mobile juice bar in the world. 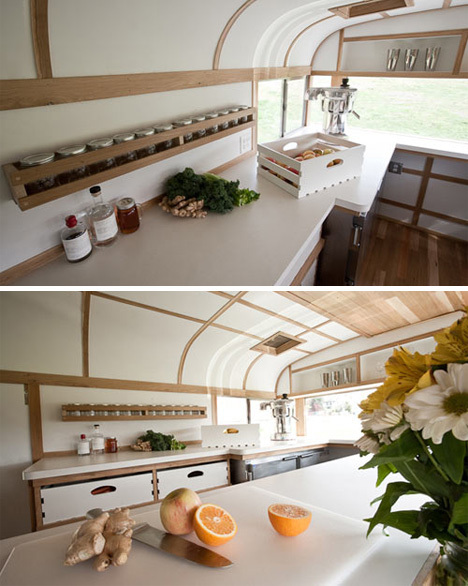 The rolling juice bar is now known as Sip Mobile Lodge. It is not only a totally unique food truck that serves Portland’s thirsty juice fans; it’s also a comfortable and relaxing lounge where guests can simply hang out and sip their delicious drinks. The use of wood, white surfaces and an abundance of natural light make the interior of the Sip Mobile Lodge feel much bigger than it actually is. Ample storage space for ingredients and tools means that the expansive countertops can be kept mostly clear, again increasing the visual space inside the vehicle. 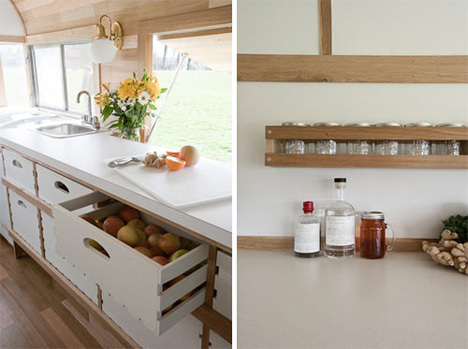 After the conversion, the former mobile home is an unbelievably stylish place to chill, order up a tasty glass of juice and enjoy the feeling of being part of a really astounding recycling project.